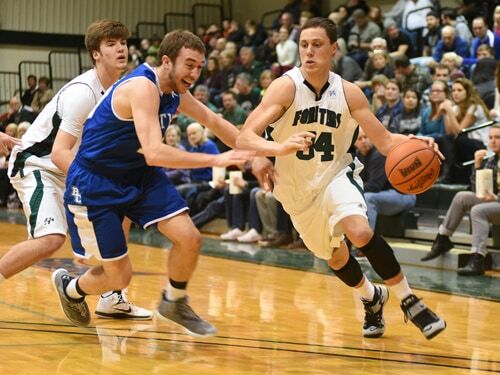 Tri-Village graduate Kyle Pipenger, who played the past two seasons at Huntington University, has transferred to Indiana University East and will play basketball for the Red Wolves. RICHMOND, Ind. – Kyle Pipenger, a former Tri-Village High School standout who played the last two seasons at Huntington University, has enrolled at Indiana University East and will play basketball for the Red Wolves starting with the 2015-16 season. Pipenger is a 6-foot 1-inch guard who averaged 8.7 points and 3.0 rebounds per game this past winter at Huntington. Pipenger made 50 percent of his field goals, 52 percent of his 3-pointers and 86 percent of his free throws during his most recent college season. Pipenger averaged 21.0 points, 4.6 rebounds and 4.0 assists per game as a senior at Tri-Village to lead the Patriots to a 26-1 record and the No. 1 ranking in the final Ohio state poll of the regular season in 2012-13. He was the district player of the year and a second-team all-state selection as a high school senior. Pipenger is the son of Joel and Teresa Pipenger. He plans to major in business. He wrote that he chose IU East for the basketball program. Pipenger joins Nate Niehoff of Rushville, Aaron Thomas of Fort Wayne Northrop, Christian Evans of Scottsburg, Kyle Dewey Whitesel of Union City and Tyson Schumpert of Herron High School in Indianapolis in IU East’s 2015 men’s basketball recruiting class. IU East is an NAIA Division II program. The Red Wolves have five 20-win seasons in the last seven years and three national tournament appearances in the last five years.